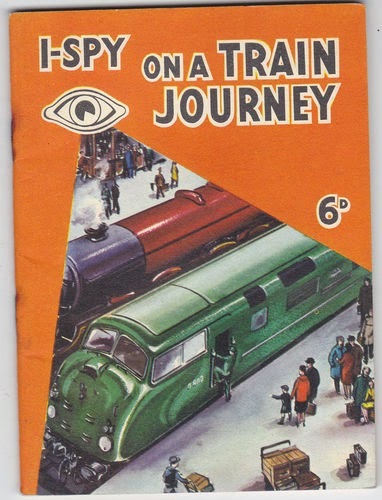 The I-SPY books were/are spotters' guides written for British children, and particularly successful in the 1950s and 1960s in their original form and again when relaunched by Michelin in 2009 after a seven-year gap in publishing. The company was supposedly run by a Red Indian chief called Big Chief I-Spy. The original Big Chief I-Spy was Charles Warrell, a former headmaster who created I-Spy towards the end of his working life. He retired in 1956, but lived on until 1995 when he died at the age of 106. The original books were originally self-published by Charles Warrell but, after a brief period when they were published by the Daily Mail, they were taken over by the now defunct News Chronicle newspaper and based in the paper's building in Bouverie Street. The regular I-SPY column, which appeared in the News Chronicle, reverted to the Daily Mail when the News Chronicle ceased publication, and continued to appear until the late 1980s.